The Iranian Foreign Minister: "Our thoughts are with the French and all the Catholics". The Thai Prime Minister, Prayut Chan-o-cha, expresses "pain". Japan has indicated its willingness to support France in its restoration work. South Korea announces inspections of national monuments. The South Korean Catholic community offers words of consolation and promises solidarity to the French people. 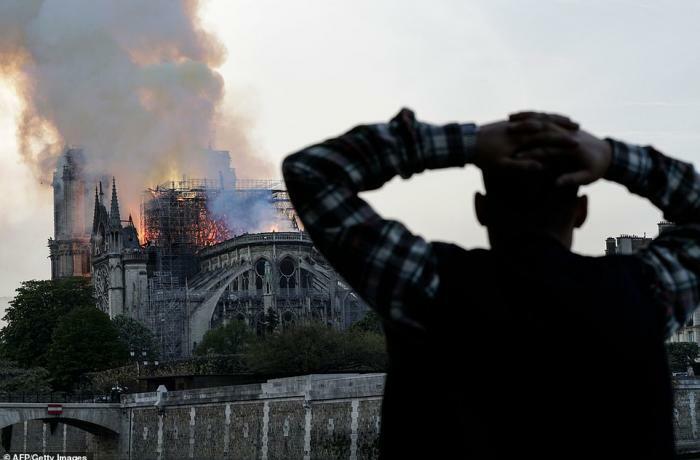 Paris (AsiaNews) - Asian countries have joined the international community in expressing sympathy to France and its people, following the fire that devastated the Cathedral of Notre-Dame in Paris. The Iranian Foreign Minister, Mohammad Javad Zarif, this morning declared that he is "saddened by the fact that Notre-Dame is partially destroyed, after having resisted for 800 years, both wars and the French Revolution". "Our thoughts are with the French and all the Catholics," Zarif writes in his social media accounts. The minister of the Islamic Republic describes the Parisian cathedral as "an emblematic monument dedicated to the prayer of our one God and that united us all through Hugo's literary masterpiece". The Thai Prime Minister, Prayut Chan-o-cha, also expresses "pain". He does so through the words of its spokesman, Werachon Sukondhapatipak. Prayut announced "support for the French government and people, who have suffered a great loss". The prime minister says he is "confident" in Paris's efforts to rebuild the cathedral. Japan has indicated its willingness to support France in its restoration work. "The Japanese government will consider providing support, if requested by the French government," says Yoshihide Suga, chief secretary of the cabinet. "It's a loss for the world and we feel deeply saddened," he adds. In the country, politicians and experts join the solidarity expressed by the government. Miki Kato, head of the Catholic Research Center of the Sendai Shirayuri Women's College, declares that "the magnificence of Notre-Dame was different from any other church, and the many visitors and locals who prayed there aroused wonder". The academician underlined that a function for victims of the devastating earthquake and tsunami that hit Sendai and other areas of north-eastern Japan in 2011 took place in the cathedral. "Now it's our turn to support France. I pray for the reconstruction of the cathedral ”. On behalf of the government of South Korea, the Administration for Cultural Heritage (Cha) expresses "profound regret" over the fire and announces inspections in national monuments. La Cha reports asking provincial governments to control fire protection systems in wooden buildings and other cultural assets. In addition, inspections of buildings, tombs and temples directly managed by the Administration are underway. Meanwhile, the South Korean Catholic community offers words of consolation and promises solidarity to the French people. "I was shocked and deeply saddened when I heard the news of the fire," says Card. Andrew Yeom Soo-jung, Archbishop of Seoul. "We share the pain and suffering of Catholics in France and the people of Paris". Finally, the cardinal announces that the archdiocese will pray for those who are fighting the disaster and for the full restoration of the cathedral.